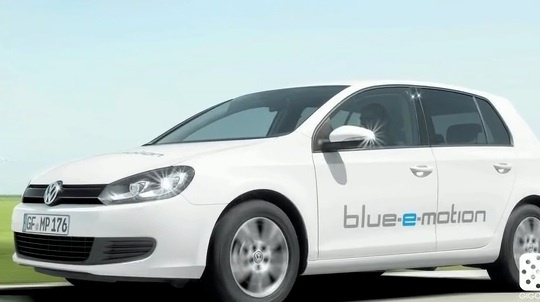 Green Overdrive: VW's Electric Blue-E-Motion Golf! Green Overdrive: VW’s Electric Blue-E-Motion Golf! Volkswagen’s got close to two years before it will launch its all-electric Blue-e-motion Golf car, but GigaOM TV’s Green Overdrive show got a chance to take the car to the streets recently in Los Angeles, California. VW electrified the Golf line because the vehicle is one of its most popular brands. Watch our test drive below, where we check out each of the car’s four regenerative braking modes. Volkswagen's got close to two years before it will launch its all-electric Blue-e-motion Golf car, but GigaOM TV's Green Overdrive show got a chance to take the car to the streets recently in Los Angeles, California. VW electrified the Golf line because the vehicle is one of its most popular brands. Watch our test drive below, where we check out each of the car's four regenerative braking modes.